I feel safer with gripper socks to wear at home. They help keep my feet warm while keeping me safer. I've bought these socks before & will continue to do so. I feel comfortable wearing these socks at home. The treads are a safety feature. 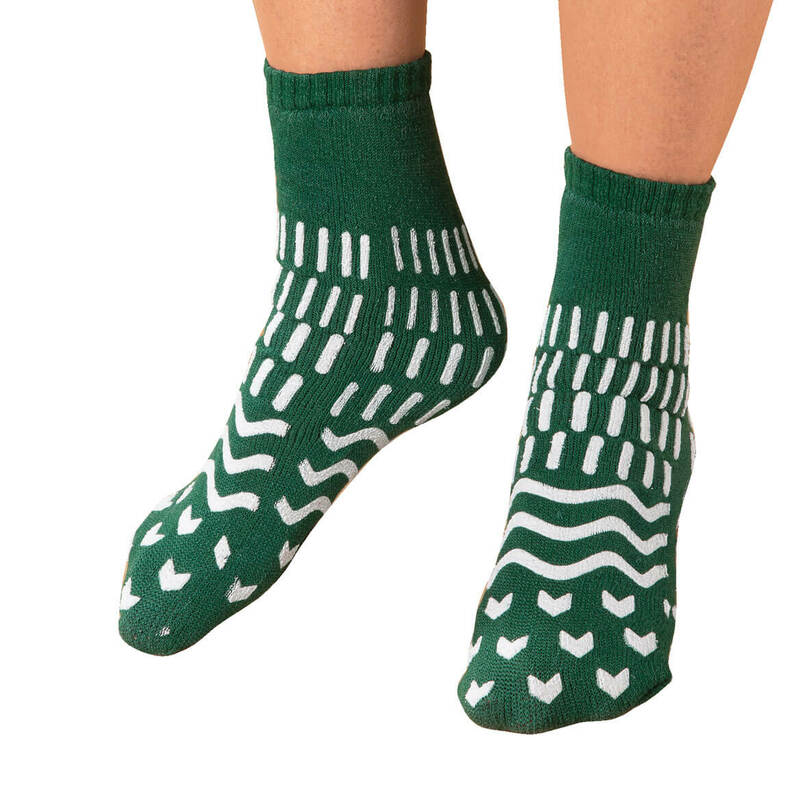 This is my second order of these socks. They keep my feet warm without sweating, and the treads are a little extra sureness on a tile floor when vying with two 80# dogs for space! 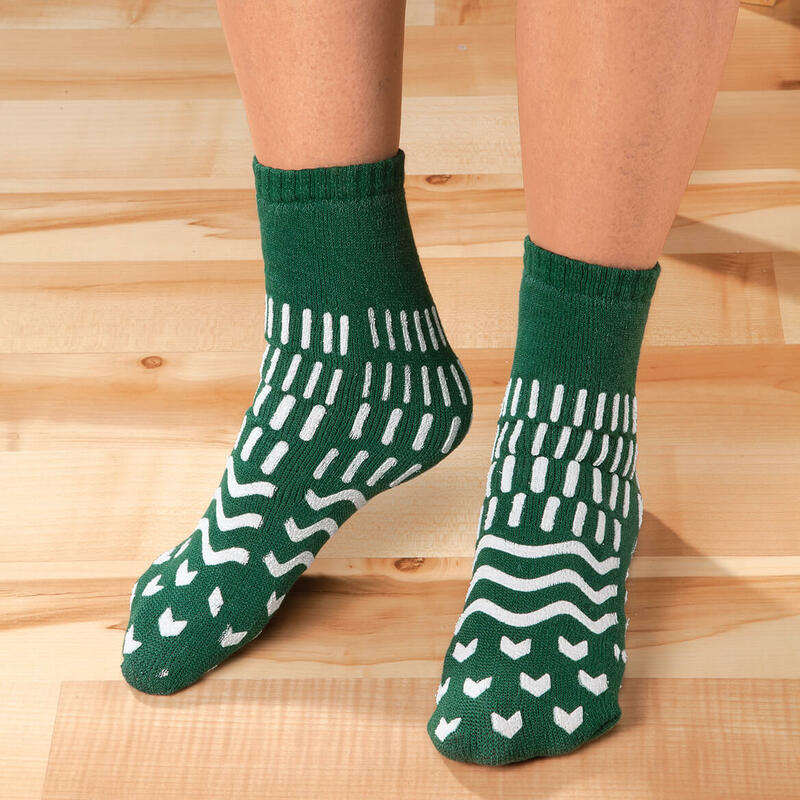 These socks are perfect for me because my feet swell up sometimes,and because the treads are "around" I don't have to worry about my socks twisting and ending up with treads on top. They are comfortable, plus I feel safer having the gripper surface. I needed it for wearing it at home. 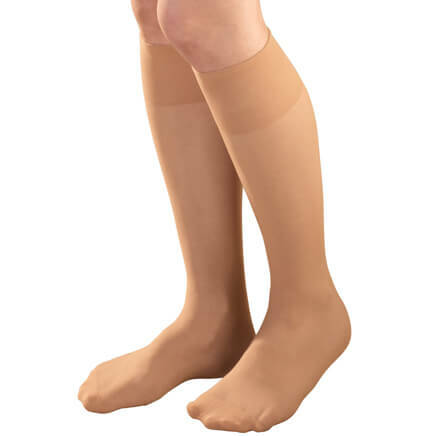 They fit like regular socks instead of the short ones that can bind at the ankle leaving an indent, and they're just the right thickness to keep my feet warm NOT sweaty. Also, the grippers come in handy as I'm in my kitchen a lot, as are my two 75# dogs on a tile floor, so slipping and tripping can be a bigger problem without them. 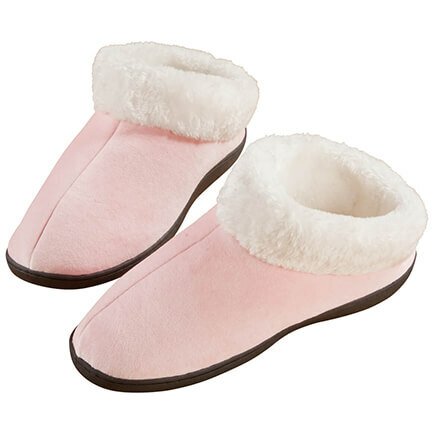 Mother in nursing home, not certain she will wear these with all around tread, but worth a try. 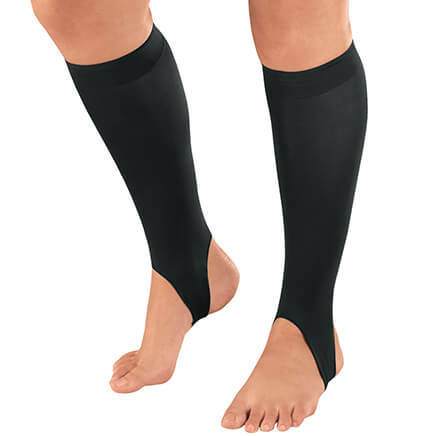 Husband is recovering from back surgery and he's been wearing the same pair of non-skid socks to bed every night. Wanted some laundering convenience - not having to remember to have them dry in time for bedtime. They really help prevent you from slipping which for me is very important. Medically needed for a family member. Can you get these in 3xxx or even larger..? BEST ANSWER: Thank you for your question. 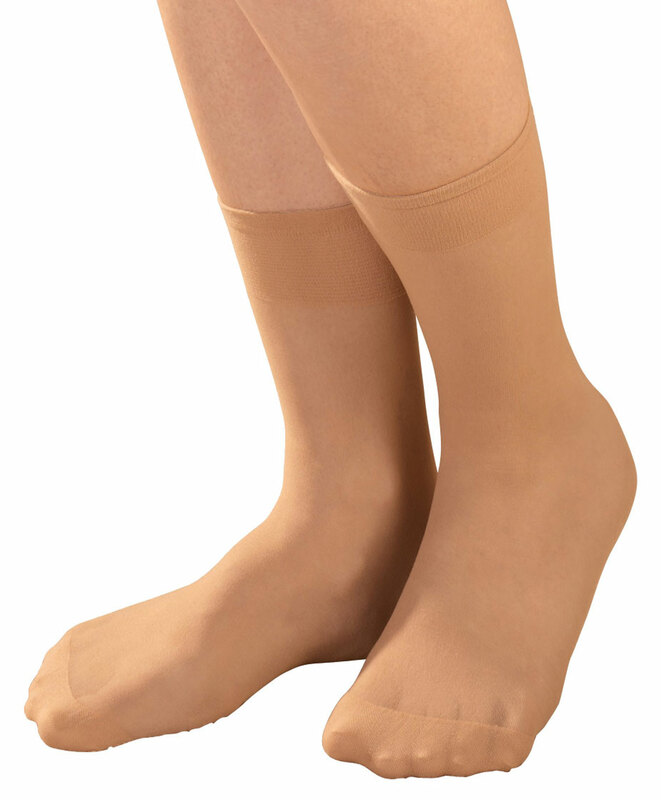 Medium non slip socks fits women’s size 7 and under, men’s 6 and under; Large fits women’s 7 1/2–9, men’s 6–7 1/2; XL fits women’s 9 1/2–11, men’s 8–9 1/2; 2XL fits women’s 11 1/2–13, men’s 10–11 1/2. We hope this information will be of help to you.